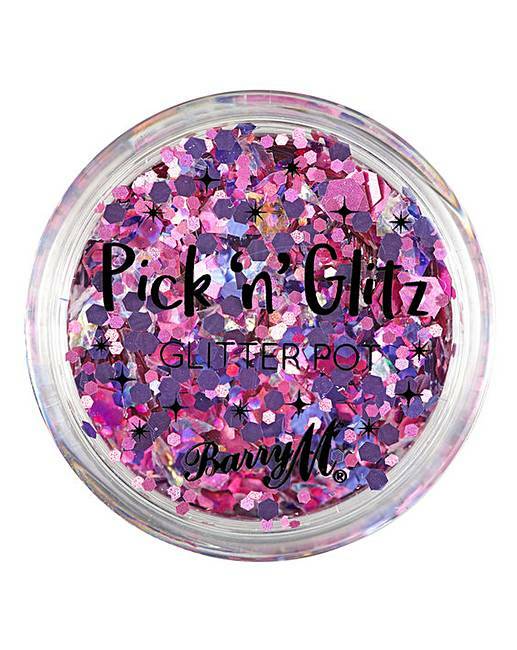 Barry M Face Jewel and Glitter Bundle. 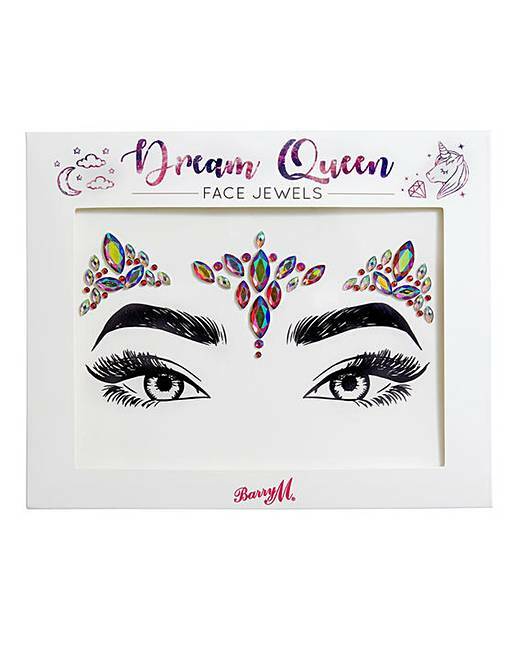 Brand new face jewels from Barry M will allow you to create dazzling, otherworldly looks that will take festival fever and party glamour to a whole new level! 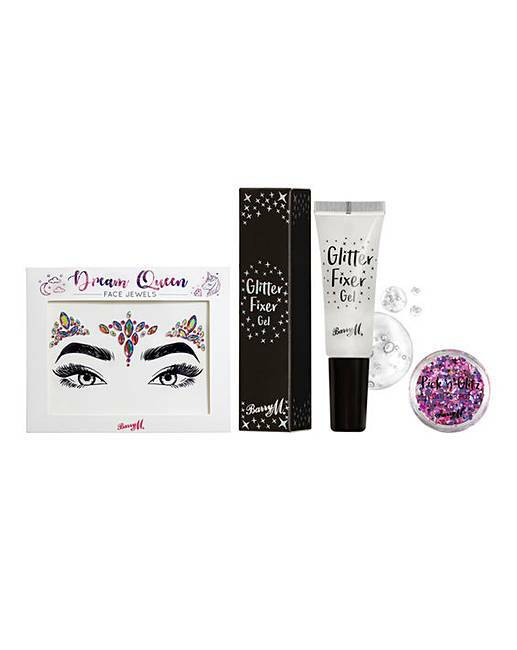 For a full on, out of this world glamorous look, pair the face jewels with Barry M's Pick 'n' Glitz - perfect for the hair, face and body! After all you can never have too much glitter. 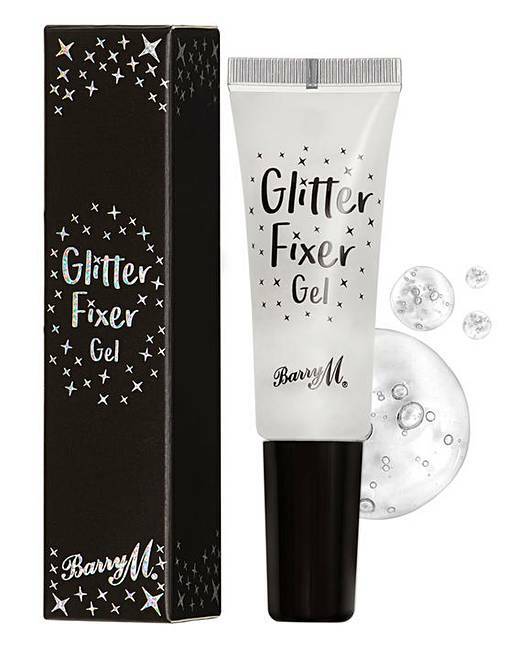 Use the Barry M Glitter Fixer Gel to ensure your glitter stays put neatly with minimal fallout! Shades: Face Jewels - Mystic Mermaid. Glitter Pot - Sass. How to apply - Face Jewels: 1. Lift the Face Jewels gently away from the clear backing, pulling carefully along the glue line. 2. Place the jewels in your desired position and press down gently into place. 3. Apply makeup and glitter around the jewels to complete your look. 4. Gently peel away from the skin to remove. Glitter Fixer: Simply apply the gel to your skin and pop your sparkles over the top.